Solid organ transplantation is the treatment of choice for organ failure, but donor organs are a scarce resource because of a large mismatch between supply and demand. This scarcity leads to an ethical dilemma, forcing priority setting in organ allocation to individual patients. Little is known about public preferences regarding priority setting in organ allocation. A systematic review was performed to review the existing evidence and provide an overview of the criteria and criterion levels in regard to ethical aspects of distributive justice. The PubMed, Web of Science, EBSCO and PsycINFO databases were searched for literature published between January 2000 and December 2018. Only original studies were selected. The criteria were identified, extracted and grouped into a self-developed matrix according to the principles of distributive justice to ascertain public preferences. Overall, 9645 references were identified, and 15 studies were included. In total, 27 criteria clustered in seven theory-guided groups could be identified: “equality”, “effectiveness/benefit”, “medical urgency”, “own fault”, “value for society”, “medical background” and “sociodemographic status”. It was shown that not only a single principle but rather a combination of principles are relevant for the allocation. Therefore, a public propensity towards a rational utilitarian ethical model of allocation could be recognised. 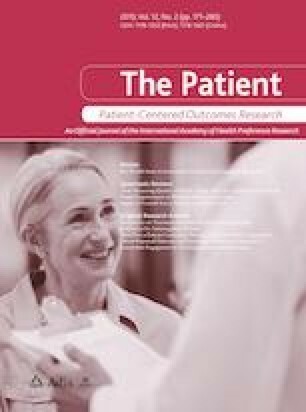 The general public not only wanted to allocate organs mainly to those with a good probability of having a successful transplantation but also wanted to consider those who need an organ most urgently to prevent fatal consequences, resulting in unclear trade-offs between effectiveness/benefit and medical urgency. Public preferences for organ allocation are therefore complex, and data regarding clear trade-offs are still lacking. The online version of this article ( https://doi.org/10.1007/s40271-019-00363-0) contains supplementary material, which is available to authorized users. CO contributed to the development of the study design, carried out the literature search and analysis, and drafted and improved the manuscript. TB carried out and reviewed the literature search and analysis, and reviewed and commented on the preliminary drafts and final version of the manuscript. ACM and HS reviewed and commented on the preliminary and final manuscript drafts. CK contributed to the development of the study design, reviewed and commented on the literature search and analysis, and reviewed and commented on the preliminary manuscript drafts and the final version. All authors agreed to be accountable for all aspects of this work, ensuring the integrity and accuracy of this systematic review. All authors revised the manuscript and approved it for publication. This study was funded by the German Federal Ministry of Education and Research (Grant no. : 01EH1603B). Carina Oedingen and Tim Bartling were funded by the German Federal Ministry of Education and Research. The funding source had no role in the study and no influence on the data collection and analyses, interpretation of the results or writing of the publication. Axel C. Mühlbacher, Harald Schrem and Christian Krauth have no conflicts of interest that are directly relevant to the content of this article. All data generated or analysed during this study are included in this published article and its Electronic Supplementary Material. Lamont J, Favor C. Distributive justice. In: Zalta EN, editor. The Standford encyclopedia of philosophy. 2017. https://plato.stanford.edu/entries/justice-distributive/. Accessed 25 Jan 2019. The Equator (enhancing the quality and transparency of health research) Network. http://www.equator-network.org/. Accessed 25 Jan 2019.